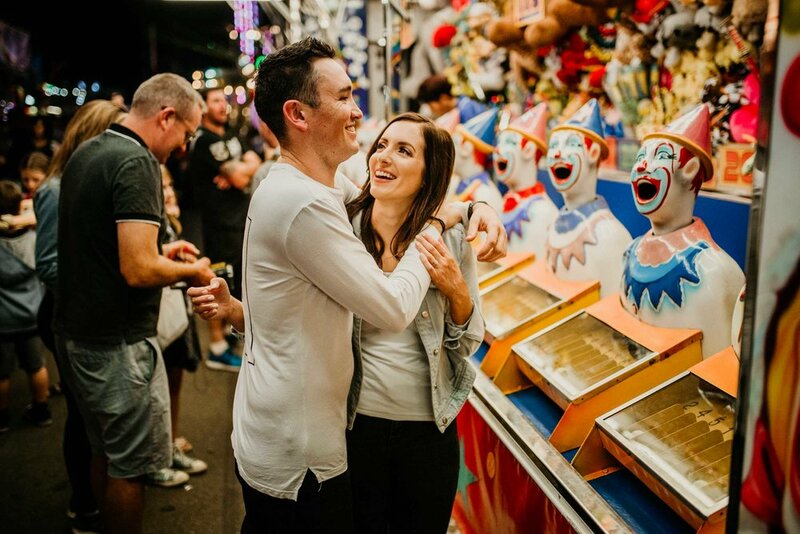 I was first inspired to do an engagement shoot at the Cairns show when Kacey Maree Photography posted a photo of a couple she photographed at the Townsville show. I thought it was a super cool idea and I quickly contacted Scott + Cassie. The message went something along the lines of "Hey! Want to do something totally crazy, exciting and #yolo?" 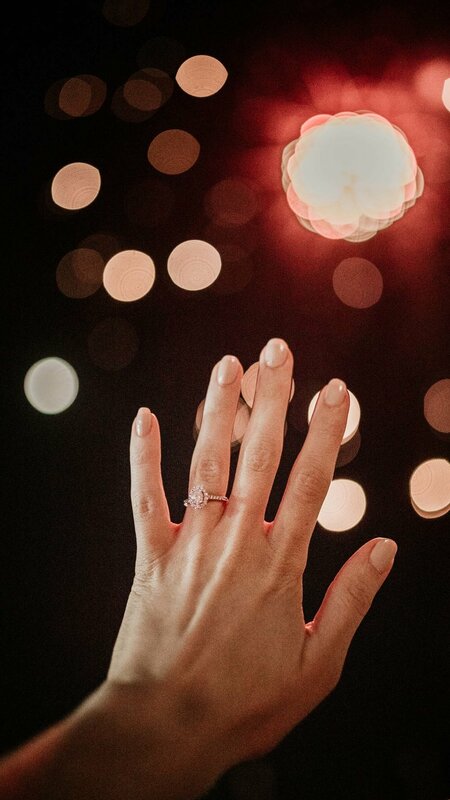 They immediately said yes! 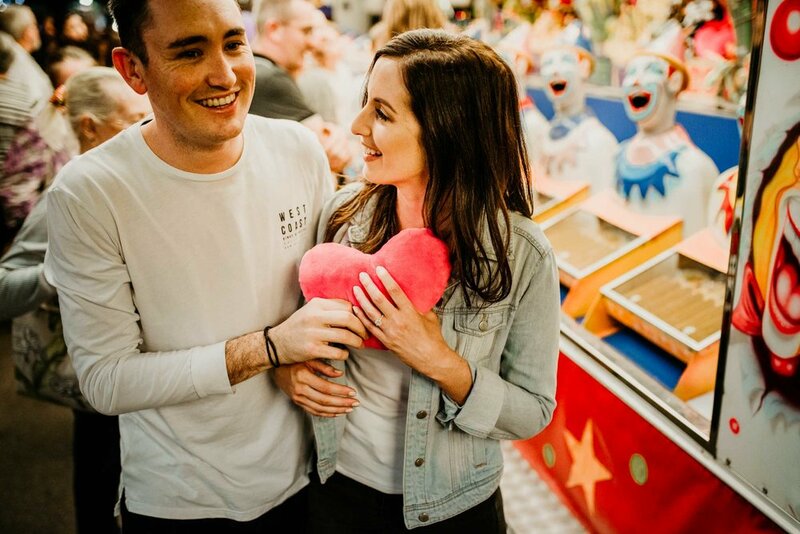 This isn't your ordinary engagement shoot. Most of the time I like to take the couple away to a quiet beach or rainforest where nobody can distract us. However this was different. Hundreds of kids and parents surrounded us and it took a bit of time to get a feel for the environment. After warming up in a few locations with only a few bystanders we suddenly took a dive into the deep end. I noticed a claw-like ride that once it swung over and illuminated a small grass patch. This was a funking it, let's go! I asked Scott to do some lifting once claw was right above his head. They totally nailed it... and they also won a love hear cushion on the clown heads to top it all off.